300B-Z/300B Shuguang Treasure Series matched pair 2 pcs. 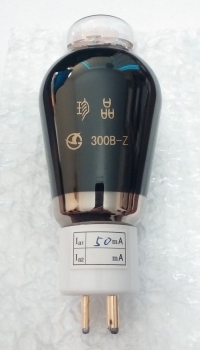 The Shuguang Treasure series 300B-Z tube is a significant upgrade to the regular 300B both sonically and aesthetically! 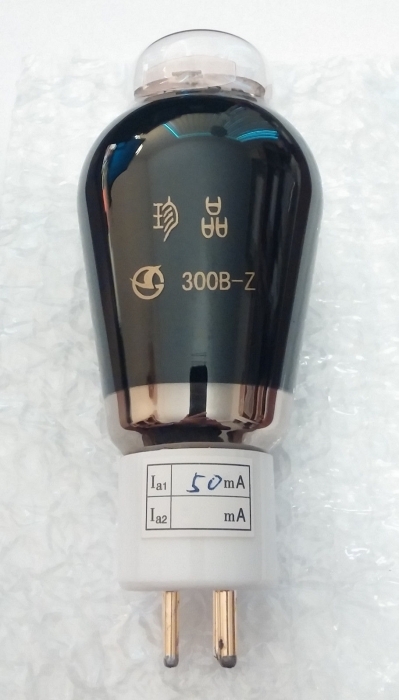 The 300B-Z has gold grid wires and a black glass bottle to reduce photon interference. This High Polymer Carbon Compound glass coating reduces electron resonance/reflection. Super Alloy technology is also used in their anode material. This material has a very uniform crystal structure allowing much greater electron transfer uniformity and efficiency. Smoother, more detailed and effortless life-like sound results from this high-tech material.Treasure series has superior parts selection quality control, a harder vacuum, and additional burn-in time and testing resulting in an overall superior sound, reliability and longevity. Buy from an authorized US dealer with an ongoing quality control program who backs the warranty here in the USA.